Updated March 18 with comment from alumni trustee candidate Laurie Stanell. 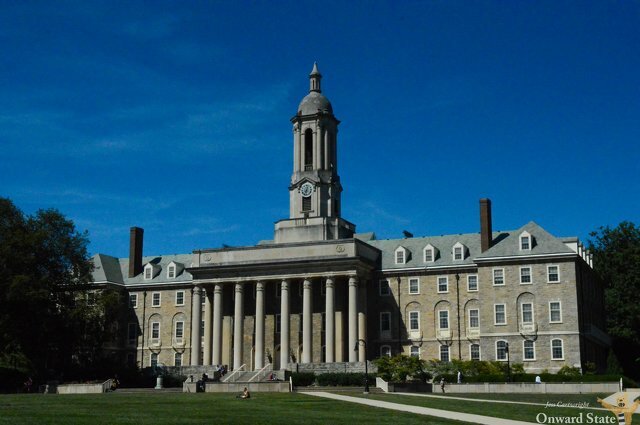 Three state representatives plan to introduce a package of bills they say are aimed at "promoting transparency and accountability" for Penn State and Pennsylvania's three other state-related universities. A co-sponsorship memorandum released Wednesday by Reps. Aaron Bernstine, Jim Christiana and John Maher -- all three Republicans from western Pennsylvania -- announced their intent to introduce the legislation aimed at Penn State, along with Pitt, Temple and Lincoln universities. "These institutions receive considerable funding from the Commonwealth, but are not held to the same standards as the State System of Higher Education institutions," the memo states, adding that the measures are intended to "ensure that Pennsylvania’s state-related institutions are acting as responsible stewards of taxpayer resources." The bills would expand the state-related universities' requirements under the state's Right to Know law and Public Official and Employee Ethics Act, and make changes to the size and operation of Penn State's Board of Trustees. "Penn State is fortunate to have committed trustees who bring with them a wide array of professional and life experience. We believe the board’s varied makeup contributes to its strength," a university statement provided on Thursday said. "Penn State’s leadership, including the board, is focused on priorities that will best help Penn State to fulfill its mission, working to build a diverse and inclusive university, to drive Pennsylvania’s economy, and to promote access to and affordability of a world-class Penn State education for the state’s citizens. The University supports full accountability to the Commonwealth and public for appropriated funds that support its educational mission, and is committed to the highest standards of ethics and accountability for all members of the University community. We remain committed to working closely with our elected officials." The legislation largely reflects the recommendations of a performance audit released in June 2017 by Pennsylvania Auditor General Eugene DePasquale, who praised the lawmakers' proposal in a statement on Wednesday. State-related universities are required to report certain employees' salaries and the financial information that would appear on an IRS Form 990 but are mostly exempt from other reporting and public record request mandates that state agencies must follow. The planned bill would expand what documents and financial information would be required, though the specifics were not immediately available. The legislation also would make members of the boards of trustees and other employees "responsible for taking or recommending official action" subject to the Ethics Act, requiring them to file statements of financial interest. “It is absurd that these four universities receive hundreds of millions of dollars in taxpayer funds, but are currently exempted from these two important transparency and accountability measures," DePasquale said. "Financial disclosure is key to help assure that tax dollars at our state-related institutions are being spent by officials who are impartial and free of financial conflicts." Penn State and the other state-related universities have long lobbied against being brought fully under the Right to Know law, arguing that they are not state agencies and the funds they receive from the state represent only a fraction of their total budgets, as compared to the state system schools, which are owned and mostly funded by the Commonwealth. The memo also outlines changes to the Penn State Board of Trustees, including a reduction in size, which has been recommended by both DePasquale and his predecessor, Jack Wagner. The legislation would limit the board size to 21 voting and one non-voting member. They would include the Pennsylvania governor, who would serve as the nonvoting member; Secretaries of Agriculture, Education and Conservation and Natural Resources; nine alumni representatives, elected by alumni; three members representing business and industry interests elected by business and industry associations; three members representing agricultural interests elected by agricultural associations; and three at-large members, one of whom must be a student enrolled at the institution. 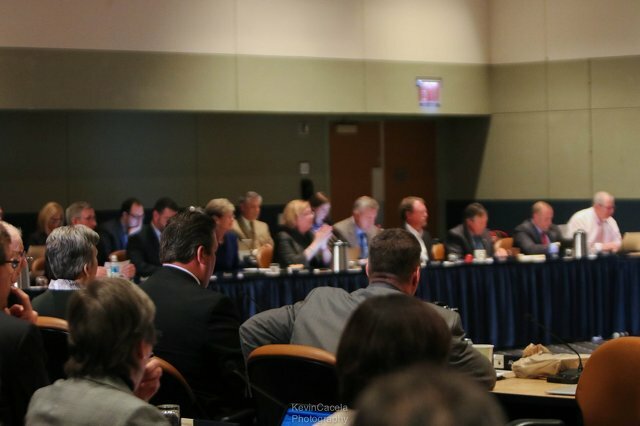 In 2014, after Wagner's initial recommendation, Penn State's board actually grew instead of getting smaller, as voting membership expanded from 30 to 36, with two non-voting members for a total of 38. The university responded to DePasquale's recommendation in 2017 to reduce the size by saying there is no one-size-fits-all board for public universities. Penn State's response at the time also said it has had a board of more than 30 voting trustees for more than a century, and the size of the board has not impeded its ability to carry out its land-grant mission. DePasquale also called for reductions in the size of the boards for Pitt Pitt (36 voting members), Temple (36) and Lincoln (39), though the proposed legislation does not mention those three. “As I have said for years, the size of the boards of trustees at these schools — not just at Penn State — should be cut to more manageable and efficient numbers," DePasquale said. The bill would additionally limit the total number of years served by a trustee to nine (the current limit is 12) and provide for a majority of board members to constitute a quorum. A group of 12 trustees, including the nine elected by alumni, issued a statement on Wednesday night in support of the legislation. They said the proposal would "bring Penn State a step closer to the realization of the university’s stated goals for improved accountability, transparency and governance." "Consensus expert opinion has called for updates to an antiquated, decades-old, bloated board structure," they wrote. "These updates reflect what is best for Penn State. A new governing model is vital to align Penn State with the goals of our students, faculty, alumni and today's economy of the Commonwealth." Alumni trustee candidates Brandon Short, Alvin de Levie and Laurie Stanell also issued a statement in support of the proposed legislation. “The lack of transparency and accountability in the governance of public universities is a national issue," Short said. "In Pennsylvania, this problem is magnified where taxpayer dollars are appropriated to public universities which are not held to high standards of transparency and accountability. "Pennsylvania public universities are underfunded and it is important that the state increase its investment in higher education. However, it's equally important that the leadership at PA public universities operate openly and transparently and that their interests are aligned with one of the school’s main constituents – Pennsylvania taxpayers." He added that he would like to see the legislature study best practices of other universities to "construct a board that is ready to lead in the modern world." Stanell said she was in Harrisburg on Tuesday for Penn State Capital Day, which she has attended for several years, to advocate for funding for the university. While there she met with state Rep. Marguerite Quinn, who represents Stanell's home area in Bucks County. Stanell said they discussed "the rising cost of tuition at Penn State, the lack of transparency, and the out of control spending." The proposed legislation is an important step forward, Stanell said. "I have been advocating for months for the Pennsylvania legislature to become more involved with governance at Penn State because a new governing model is long overdue," she said. "It was a 'Hallelujah!' moment for me when Tuesday when they told us about the bill. I fully support the proposed legislation of Representatives Bernstine, Christian, and Maher, and have since contacted Representative Bernstine to discuss this with him further. "This bill is an important step toward transparency and accountability, and will align the best interests of the taxpayers of the Commonwealth with Penn State, and improve our university's governance for students and alumni." A sorority chapter at Penn State has been closed by its national organization and banned from the university for at least three years following an investigation into hazing allegations.